Saskatoon Therapist: Aspire Too Counselling and Professional Services - Therapist S7M 0S5. Aspire Too Counselling and Professional Services, BSW, MSW, RSW, CLC, Reg Psych. Leanne is a Registered Social Worker who has worked with individuals, families and professional groups since 1998. Leanne has worked in both frontline and management positions throughout her career in both government and school systems and has provided counselling on First Nation reserves within Saskatchewan. She has a Bachelor of Social Work from the University of Regina and has received certification in Interdisciplinary Collaborative Divorce, New Ways for Families, Cognitive Behavioral Therapy (CBT) and is a Certified Life Coach (CLC) and is trained to administer the Strong Inventory Assessment for career counselling. Leanne has vast experience in supporting clients with a variety of mental health concerns and emotional challenges. Leanne has a deep passion and commitment for helping others. She is trained in Conflict Resolution, Crucial Conversations, leadership, Violence Risk Assessment, and Safe Talk. Her knowledge of family systems theory and societal issues impacting individuals and families has led her to develop highly effective skills and tools to assist clients in reaching successful outcomes. Leanne believes every client’s situation is unique and therefore tailors her therapeutic approach to meet their individual needs. Leanne’s mission is to help people navigate their complex worlds in order to live a happier and healthier life. She believes in a holistic approach focusing on client strengths. With her compassionate and caring nature, as well as thorough knowledge, senses of humor, passion and dedication to clients well-being, Leanne provides a non-judgmental, accepting and safe environment in which she helps to empower clients to realize their greatest potential. Michael is a Registered Social Worker with the Saskatchewan Association of Social Workers. Michael has his Bachelor of Social Work Degree from the University of Regina, three years of undergraduate level education in Psychology from the University of Saskatchewan, and is working towards his Master of Arts in Counselling Psychology through Yorkville University. Michael has a diverse knowledge base, education, and experience in human services and health care. Michael has worked with individuals with severe physical impairments, and is conscious of the complex family dynamics that occur as a result of such impairments. Michael has experience in Child Welfare, is aware of signs of abuse, has facilitated foster/adoptive parent training, and is educated in child development. Michael is highly knowledgeable and experienced in working with individuals who have experienced trauma, mental health, and addictions. He has worked in the health care areas of addictions counselling and detox, Critical Care (Emergency Department and Intensive Care Unit), Internal Medicine, Acute Care Pediatrics, Pediatric Intensive Care Unit, Vascular/Thoracic and General Surgical units, and has vast experience in working with patients and families in these areas with multiple intricate issues. Michael also has experience working with violence, domestic abuse, and anger management. Michael works from a variety of therapeutic approaches including: Systems approach, Brief Solution Focused Therapy, Motivational Interviewing, Cognitive Behavioural Therapy, as well as aspects of Narrative Therapy, where the client is always the expert. He provides holistic care, paying detailed attention to the bio-psycho-social-spiritual components of clients. He is educated and experienced in Crisis Intervention; Crisis Counselling; Applied Suicide Intervention Skills Training (ASIST); and New Ways for Families, a parenting skills method for potentially high conflict divorce or separation cases. Michael is trained in Pet Bereavement Counselling, a bereavement program unique to those experiencing pet loss. Michael is informed, educated, and sensitive to Queer issues. Michael has experience working with people of all ages, cultures, ethnicities, sexual orientation, and gender identity. Michael is known for his humour, compassion and empathy, candor, proactivity, calmness, honesty, and supportive nature with clients. Michael has a flexible schedule, and is available during the day, some evenings and weekends. Gisele is a Registered Social Worker with the Saskatchewan Association of Social Workers. She has a Social Work degree from the University of Regina. Gisele has experience counselling youth and adults in a clinical setting. She has worked with clients in relation to anxiety, depression, low self esteem, trauma, and daily life stress. Gisele recently completed Level 1 Gottman training and is excited to add couples counselling to her practice. Gisele is passionate about empowering people to reconnect with themselves through acknowledging and reclaiming the power they have over their own lives. She believes that a healthy sense of self esteem is foundational for growth and encourages clients to explore the relationships that they have with themselves. Gisele takes a person-centred approach, seeking to understand each situation from the perspective of the client. Gisele is often described as warm, genuine, and down to earth. In addition to her clinical counselling practice, Gisele provides private or small group yoga classes, either in the comfort of your own home, or at the Aspire Too office. Gisele has completed 100 hours of yoga teacher training and offers private and small group yoga classes upon request. She has a firm belief in the power of yoga to heal the body, mind, and spirit and seeks to help students use yoga as a tool for personal growth and healing. Each class is tailored to the needs of the student and is infused with music and a coordination of breath with movement. Gisele has experience conducting workshops and is available to custom create and facilitate workshops and events on topics such as: body image, healthy relationships, self esteem building, and more. When Gisele isn’t inspiring her clients to realize their true potential, you can find her reading books for personal and professional development, spending time with friends and family, or doing headstands at the yoga studio. Mischa is a Registered Psychologist (Provisional) with the Saskatchewan College of Psychologists. She has a Masters of Education in School and Counselling Psychology from the University of Saskatchewan with advanced training in Somatic Experiencing ® and play therapy as well as certification as an Adlerian Parenting educator. Mischa is a warm and empathic therapist who believes that change and healing take place within a container of emotional safety and compassion. She uses an integrative approach to her work, combining practical solution-focused and cognitive-based strategies with innovative, evidenced-based therapeutic tools to help clients move to a place of greater self-regulation, relational connection, and emotional wellness. Mischa offers individual, couples and family counselling, with an emphasis on children and adolescents. For over 10 years, she has provided counselling, psycho-educational sessions and workshops to clients of all ages and cultural backgrounds around women’s issues, family relationships, parenting skills and immigration stress and trauma. For the past five years, she has specialized in work with children and adolescents, addressing a number of issues, from family dynamics to disregulated behaviour related to mental health issues such as anxiety, low self-esteem and perfectionism, issues of mood, and traumatic stress. More recently, Mischa has expanded her practice to include working with couples, addressing issues of trust, communication and intimacy. Mischa is on the ‘Q-list’ of approved clinicians with OUTSaskatoon. She offers a safe and welcoming space for clients of all cultural backgrounds, sexual orientations and gender identities. Mischa looks forward to meeting with you to assist you in achieving your therapeutic goals. Elizabeth is a Registered Social Worker with the Saskatchewan Association of Social Workers. Elizabeth has a Bachelor of Arts Degree in Sociology from The University of Saskatchewan and a Bachelor of Social Work from The University of Regina. Elizabeth has been counselling individuals, couples, and families since 2006. She is trained in mental health, clinical counselling, marital therapy, cognitive behavioural therapy, trauma therapy, collaborative problem solving, and more. Elizabeth also holds certification in the Family Bridges Workshop and New Ways for Families, both programs that target families experiencing high conflict divorce. Elizabeth has experience working with people of all ages, cultural, and religious backgrounds. Elizabeth is a dynamic counsellor who assesses the needs of her clients and works collaboratively with them to develop strategies to target their identified areas for change. Elizabeth’s clients appreciate her warm presence, sense of humour, compassion, thorough knowledge, laid back yet direct approach, professionalism, and commitment to her client’s well-being. Elizabeth looks forward to meeting you to discuss your needs and assist you in achieving the positive change you desire. Sherry Tucker is a registered Social Worker with the Saskatchewan Association of Social Workers (SASW). Sherry has completed a Bachelor’s degree in Social Work from the University of Regina and also a Bachelor of Arts degree in Psychology from the University of Saskatchewan. Sherry is currently working towards her Master’s degree in Social Work through the University of Regina and will graduate in the fall of 2016. Sherry has training in Clinical Counselling, Marital Therapy, Family Systems Theory, Intensive Applied Behavioural Analysis (IABA), Restorative Justice, Threat Assessment Training, Trauma Systems Training, Attachment Training and Collaborative Problem Solving. In addition, Sherry has completed extensive research on neurodevelopment, trauma and attachment. Sherry utilizes her experience, knowledge and training to work with children, teenagers, families, individuals and couples. 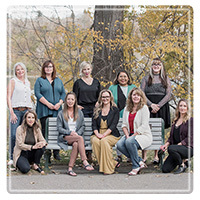 Sherry utilizes her knowledge of neurodevelopment and training in attachment theory to assist parents/caregivers and children to develop closer bonds and address children’s behavioural concerns. Sherry provides assessments of children and families and develops an integrative strategy to assist the family. Through Cognitive Behavioural Therapy, Trauma Focused Cognitive Behavioural Therapy, Play Therapy, Art Therapy, skills training and somatosensory activities, Sherry works alongside children andfamilies to help them address their concerns. The transition to adulthood is a difficult one for most children. Teenagers today experience more pressure than ever before. Balancing school, family and work obligations can be difficult even for adults. The added strain of traversing the road to independence can at times seem like too much for some adolescents. Sherry builds a foundation of trust with teenagers which allows them to express themselves through art therapy, talk therapy and family therapy. With the use of Cognitive Behavioural Therapy (CBT), Art Therapy, Dialectical Behavioural Therapy, Trauma Focused Cognitive Behavioural Therapy and Attachment Therapy. Sherry is a wife and mother who has years of experience in the counselling and human service field. Sherry is kind, caring and easy going and can meet with individuals, couples or families living in the Saskatoon area and assist them in discovering how to live their best life. Connie Lupichuk has over 37 years of experience working in leadership social work positions. Since 2008, Connie has worked as a counsellor, life coach, workshop facilitator, mediator, parenting/custody assessor, and most recently became a Certified Leader for the Family Bridges program Western Canada and New Ways for Families® for high conflict divorce cases. Connie holds both a Bachelor and Master Degree in Social Work, with specialized training in interest based mediation, parental alienation, critical stress management as well as various other therapeutic modalities including cognitive behavioural therapy (CBT). Connie holds certification to provide life coaching, facilitate True Colors workshops, and prepare Parenting Capacity Assessments, Adoption Home Studies (private and international) and high conflict divorce programs. Connie provides a variety of services for Homewood Health including: mediation services, critical stress management, workplace interventions, health promotions and wellness workshops etc. After decades of experience delivering human services, Connie now focuses the majority of her time working with families who are experiencing high conflict divorce including parental alienation. She continues to prepare assessments for individual families, lawyers and the Government of Saskatchewan. Connie has been recognized by the Saskatoon Family Court as an expert authority on child development and parenting capacity. Connie thrives on new challenges and is currently embarking on a new relationship with New Ways for Families and Family Bridges, where she facilitates a programs designed to help families heal at various stages of separation and divorce. Known for her no-nonsense approach in conflict, Connie is also known for making people feel comfortable in some of the most difficult times in their lives. Connie is very accepting of all differences and works with diverse family structures and backgrounds without judgement of religion, sexual orientation, race or economic status. Connie’s vision is to help individuals and families realize their dreams and aspire to their highest potential by offering a variety of services at Aspire Too, a counselling and professional services company she founded in 2008. Connie’s energy is inspiring and contagious and, because of this, she is often requested to facilitate workshops. When she’s not working with clients, you will find Connie walking her pampered pooch Petah, relaxing at the lake or in some tropical destination, and renovating residential properties. Connie is a visionary known for her innovative processes, professionalism and integrity. Contact Aspire Too today for more information or to request a quote for services by calling (306)382-2391 or (306)281-7756. Brad is a Hazelden-trained, and educated, counsellor who believes deeply in treating the person with respect, love and compassion. His own recovery journey gives him tremendous insight into how the person afflicted with the disease of addiction needs to be cared for. Brad also believes that the whole family is impacted by the disease of alcoholism and addiction and offers support and strategies of recovery for the entire family. Brad’s spiritual insights and practices are invaluable assets for those seeking to renew their lives with spiritual principles as their guideposts. Contact Aspire Too to learn more about Brad’s addiction recovery services and availability. Kelly Gerhardt joins Aspire Too, working out of the Prince Albert office. Kelly has over 10 years of experience working with children and their families who are experiencing challenges. She is known for her candidness, and for getting to the root of a problem or challenge to help create positive, lasting change through active goal setting. Kelly has a degree in Education, a Post-degree Certificate in Special Education and Educational Psychology and a Masters Degree in Special Education and Educational Psychology. She is also trained in the Family Bridges program and is experienced working with different types of unique family structures. Kelly discovered her interest, ability and passion for counselling and mental health early in her teaching career, working with children and families with a variety of needs. Since then, she has gone to work with children, teens and families in private counselling, foster care, hospitals and several public school divisions. She has developed a methodology for transition planning and goal setting for those who want to make positive changes in their lives. Kelly’s combination of experience in reactionary treatment, problem-solving, intervention plans as well as preventative work has helped her to think critically and holistically about the challenges that people face in their lives. Kelly coaches her clients in a trusting environment to work through life’s obstacles while sustaining a healthy lifestyle that creates lasting change. When Kelly is not working with her clients, helping them create positive, lasting changes, you will find her spending time traveling, outside or with her two labs. Gisele is a Registered Social Worker with the Saskatchewan Association of Social Workers. She has a Social Work degree from the University of Regina. Gisele has experience counselling youth and adults in a clinical setting. She has worked with clients in relation to anxiety, depression, low self esteem, trauma, and daily life stress. Gisele recently completed Level 1 Gottman training and is excited to add couples counselling to her practice. Gisele is passionate about empowering people to reconnect with themselves through acknowledging and reclaiming the power they have over their own lives. She believes that a healthy sense of self esteem is foundational for growth and encourages clients to explore the relationships that they have with themselves. Gisele takes a person-centred approach, seeking to understand each situation from the perspective of the client. Gisele is often described as warm, genuine, and down to earth.